Russia's Sputnik International news infosite has filed a story regarding Ghana's recently launched first ever satellite, GhanaSat-1, from NASA's International Space Station. A group of students at Ghana's All Nations University (ANU) built the satellite, which weighs about 1 kg and will orbit 400 km above the Earth. Launched last month, this satellite will help Ghana to monitor the nation's coastline as well as assist other activities to boost e-governance. The ground station at the ANU's laboratory is awaiting first signals from the satellite. 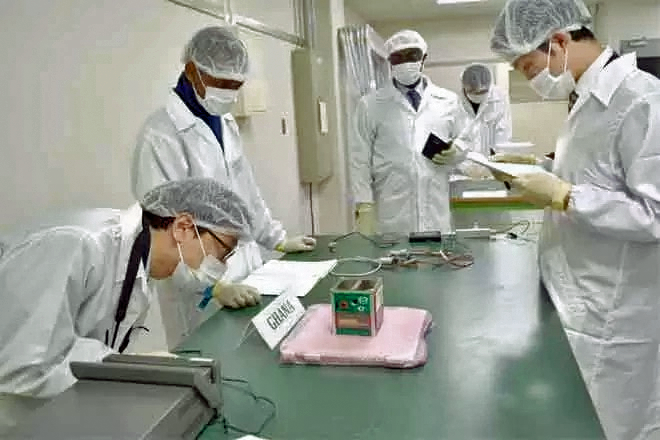 The $500,000 project that began in 2015 has the support of the Japan Aerospace Exploration Agency (JAXA). Ghana is now reportedly planning to launch GhanSat 2 into the space, equipping the new satellite with better cameras and using the craft for monitoring deforestation and the usage of water in the country. ISRO, which created history by launching more than 100 satellites earlier this year, sees immense business opportunities in such endeavors by African countries, according to experts. Dr. Mayank Vahia, a scientist in the department of Astronomy and Astrophysics at the Mumbai-based TATA Institute of Fundamental Research, told Sputnik that ISRO definitely aims to commercially tap the multi-billion dollar global space market as well, which will grow only as nations realize the usefulness of satellites for Earth observation, telecommunications and a host of other objectives. When it comes to satellite launches, ISRO has a distinct advantage as it could deliver satellites in a cost-effective way, as seen during the launch of 104 satellites in February earlier this year.